Radiansa Consulting are official partners (since 2006) of Aaronia, the developers of state-of-the-art AARTOS Drone Detection System, deployed at the 2018 NATO summit in Brussels, and the North Korea - United States summit in Singapore. The increasingly easy access to mini and micro UAVs (Unmanned Aerial Vehicle) makes them a growing potential threat to national and commercial security. Easy to produce, cheap to buy, simple to fly, and hard to detect, commercially and non-commercially available drones are among the most quickly evolving technological threats to military and civilian interests. The AARTOS (Advanced Automatic RF Tracking and Observation Solution) drone detection system (DDS) can be used virtually anywhere. Typical applications include the protection of borders, sports events or concerts, residential areas, governmental facilities as well as commercial or industrial sites such as nuclear plants. Available as a single-site or multiple-site solution, the system can be adjusted to the characteristics of the site or terrain to be monitored. En general, the detection range is equal to (or better than) the maximum distance between the operator and the drone, thus depending on the transmitter power of the drone and / or its operator. Taking into account various factors such as drone type and topography, this range can be over 500m for the portable version, up to 50 km or more for the stationary site versions. The AARTOS DDS can be configured as single-site system (portable or stationary), or a multi-site stationary system. The systems are based on the IsoLOG3D 3D antennas, a real-time spectrum analyzer, and a software plug-in for the RTSA Suite software. Combining these elements allows for 24/7 monitoring and recording with uninteruppted data streaming. The systems are compact and flexible, and can be set up at virtually any site you need to monitor or protect. 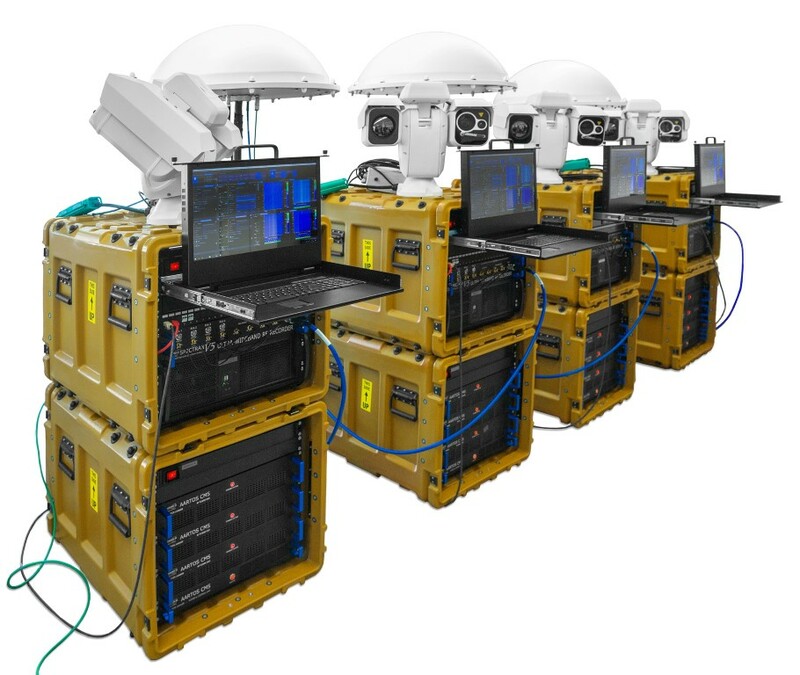 A single-site stationary, mobile or vehicle-mounted solution, based on one analyzer (V5 Command Center, V5 XFR, or V5 Rugged Rack) and one IsoLOG 3D 80 antenna array (8 sectors) or IsoLOG 3D 160 antenna array (16 sectors) . Cost-effective drone detection solution, and can be used to cover even larger areas with a drone detection grid. High-precision stationary drone detection system, combined with a high detection range of up to 5km, based on the IsoLOG 3D 160 antenna array (16 sectors), and a spectrum analyzer (V5 Command Center, V5 XFR, or V5 Rugged Rack). Used for single-site detection systems, and perfect for multi-site grid setups incorporating V5 Rugged Rack anaylzers. High-precision, highest range stationary drone detection system, with instant real-time detection through continuous multi-band analysis, in place of frequency hopping. Combines the the IsoLOG 3D 160 antenna array with the V5 Ultra-Wideband analyzer. The choice for ultra-high range drone detection grids for airport protection, for example. 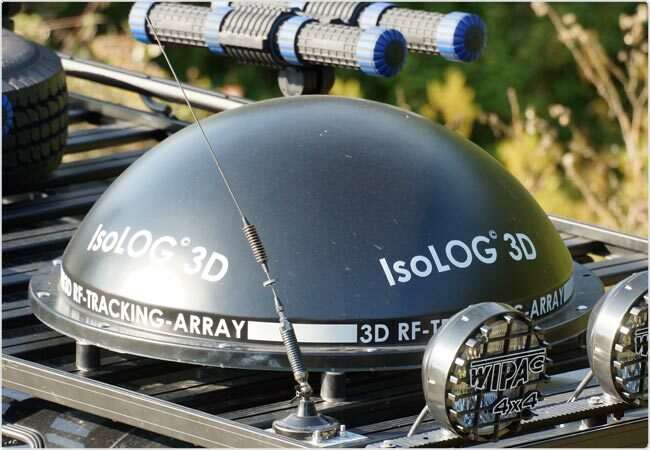 The AARTOS X5, X7 and X9 systems are based on the new 3D RF Tracking Antenna IsoLOG 3D, which includes a high density, customizable sector array. Additionally 8 or 16 specialized low-frequency antennas can be added to extend the frequency range down to 20MHz. In total up to 64 independent antennas can be equipped. The portable X3 system uses the hand-held IsoLOG 3D Mobile antenna. The IsoLOG 3D is sensitive to the majority of incoming signal polarizations including all linear polarizations, allowing reliable detection of signals including those invisible to systems that use only vertically polarized antennas. The antenna only needs a Power-over-Ethernet connection for easy integration and control over any existing network. A powerful control software is included, for operation on Windows systems. The control software allows various tracking and selection setups, e.g. sweep all antennas horizontal, vertical, switch all in one sector etc. The antennas and electronics are protected by a watertight, shock- and heat-proofed radom which can be ordered in any colour and optional prints. Additional options on IsoLOG 3D 80 and IsoLOG 3D 160: internal GPS reciever, frequency extension down to 20 MHz, or up to 20 GHz, customisable colour (RAL table). The SPECTRAN V5 XFR Pro is the analyzer of choice for portable drone detection. The rugged military-grade laptop feautres a powerful Intel i7 processor, as well as an integrated Spectran V5 spectrum analyzer. 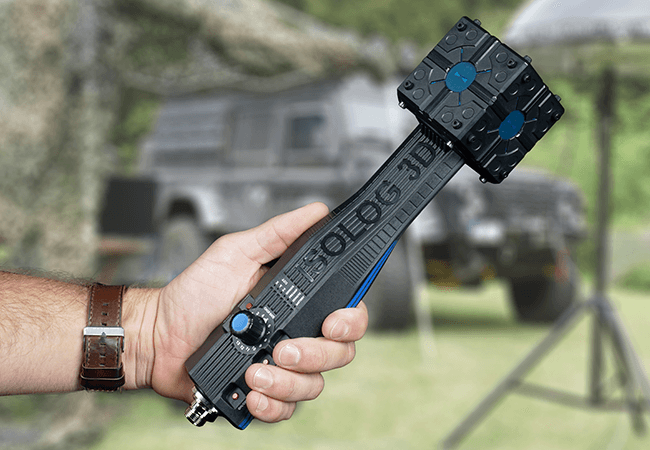 Perfect for deployment in the field, once the IsoLOG 3D antenna is set up and connected to the V5 XFR Pro, drones can be easily detected. The SPECTRAN V5 Command Center is a powerful solution for a stationary single-site drone detection system, with 2 x 24" sunlight-readable displays to present all the information processed by the RTSA Suite Pro software. The Command Center can be configured according to customer requests. The SPECTRAN V5 Rugged Rack is versatile indoor or outdoor analyzer, used both in single site systems, and multiple site systems forming an antenna grid allowing for the coverage of larger areas, as well as the triangulation of drones and their operators. The rack is water amd dust proof, remote controllable, and requires almost no maintenance. Top-of-the-line analyzer, with real-time wideband monitoring for instant detection over multiple bands, instead of frequency hopping. The V5 UWB analyzer is available as a PC system, a 19" version, or a server rack version, with frequency coverage up to 20 GHz.